These walking singing unicorns are adorable and make the perfect holiday gift for any child or unicorn lover. 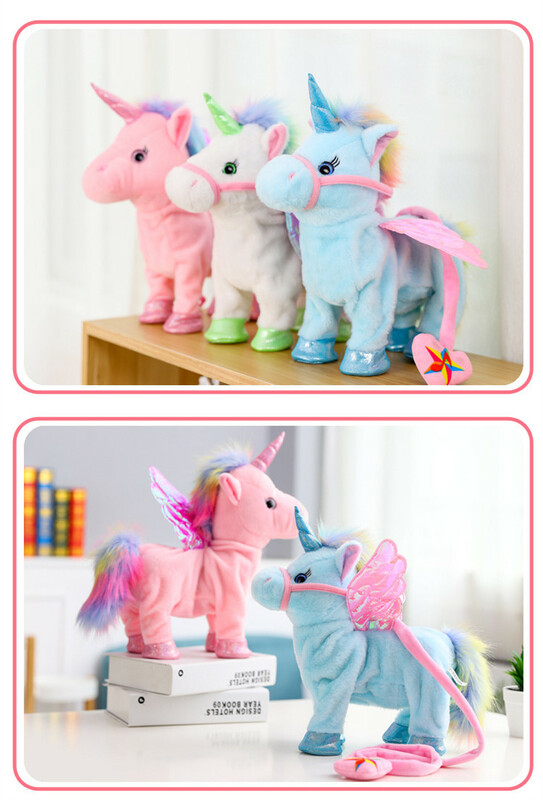 Your little ones will go bananas when they see these unicorn plush toys wiggle around as they walk and sing! 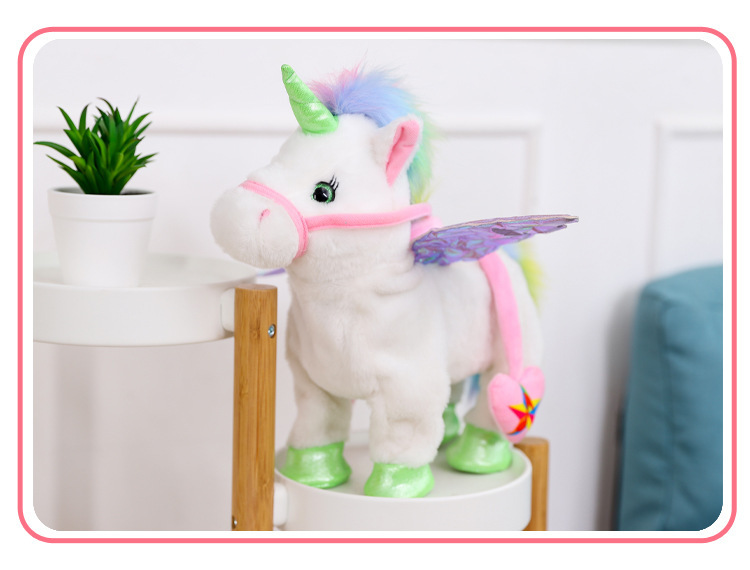 With a remote control velvet leash, kids will walk the unicorn like it's their very own pet! Make any kids dream a reality and bring this adorable walking & singing unicorn into their life! Velvet Leash: Velvet leash for your child to walk and play with their new found friend as they go for walks all around the house. 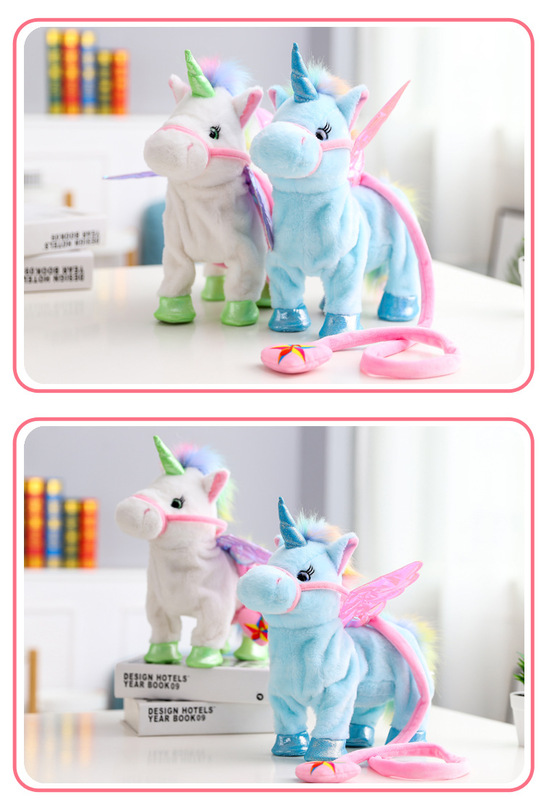 Walks and talks: The unicorn plush has a super cute walk, will 'neigh' like a horse, and it sing songs! Makes a great gift: This makes for a truly unique gift this holiday season that every child would be thrilled to have. It walks, it wiggles, and it sings! My 4 year old is in love with this little unicorn Great toy at a very reasonable price! This is the coolest toy ever! My daughter fell instantly in love and I am happy to say 4 months later she still plays with it almost daily. Soft and fluffy..really great quality toy! It took just over a week to get shipped to California. My daughter and I both love it! These unicorns make a very affordable present for any little princess You cant go wrong. What girl wouldn't fall in love?